Support Please Live as we walk to fight suicide in the Out of the Darkness Walk. In addition to Please Live’s primary work of providing free education and awareness events to the community on youth mental health and suicide prevention, one of our biggest beliefs is to support other organizations that are doing incredible work. That is why every year Please Live has put together a team for the annual Out of the Darkness Walk. The American Foundation for Suicide Prevention‘s mission closely aligns with ours: to see an end to suicide. To this end, we are honored to walk with other like-minded indivduals in the community to support the work of AFSP and to bring the topic of suicide and mental health out of the darkness and into the light. This year we are participating in TWO walks, one in Harrisburg and one in Carlisle. Feel free to register for one or both of the events below! 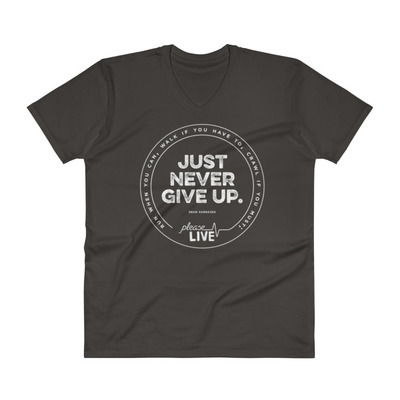 Every year we create a unique t-shirt to raise funds specifically for Please Live. While the funds raised through your personal fundraising portal will benefit the AFSP, all proceeds of the team t-shirt will benefit Please Live. Purchasing a t-shirt is completely optional. You can certainly join our team without purchasing a shirt! You can purchase a shirt NOW by visiting our store or clicking here. If you have not ordered your shirt prior to the walk, we will have a small amount available for purchase the day of the walk, however we cannot guarantee your size.